Researchers at MIT and Harvard University recently published a study outlining how deep learning is helping seismologists detect earthquakes that might have otherwise been missed. 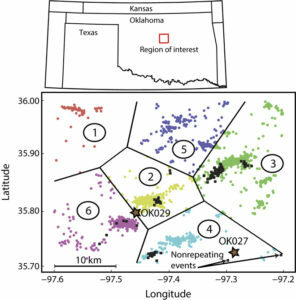 Published in the Science Advances Journal last month, the study focused on Oklahoma, a state that before 2009 only experienced around two earthquakes of magnitude 3.0 or higher per year. In 2015, this tally climbed up to 900, though it fell to 604 in 2016 and 304 last year. In Oklahoma, the fracking industry is booming, and government Seismologists say the earthquakes are related. 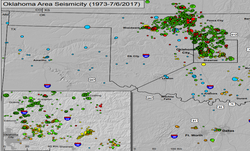 The Oklahoma Geological Survey has documented the relationship between wastewater disposal and seismic activity. “Over the last decades, the volume of seismic data has increased exponentially, creating a need for efficient algorithms to reliably detect and locate earthquakes,” The researchers said. 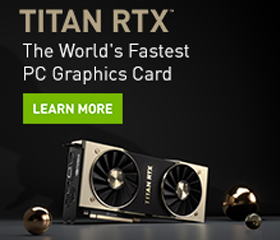 Using NVIDIA Tesla GPUs with the cuDNN-accelerated TensorFlow deep learning framework, the researchers trained their neural network on more than 2,000 recognized earthquakes. “This is really about signal detection. That’s why deep-learning techniques are useful — because you can extract features from the noise.” Marine Denolle, assistant professor of Earth and planetary sciences at Harvard, told The Harvard Gazette. The colored circles are the events in the training dataset. Two events from the test set are highlighted because they do not belong to the same earthquake sequences and are non-repeating events. The deep learning system was able to detect over 17 previously unidentified earthquakes hidden in the information, the researchers said. The researchers say that as their neural network becomes more widely used, seismologists will have more data to investigate the exact cause of the earthquakes affecting the state. The researchers are hopeful their model will even help predict future earthquakes.